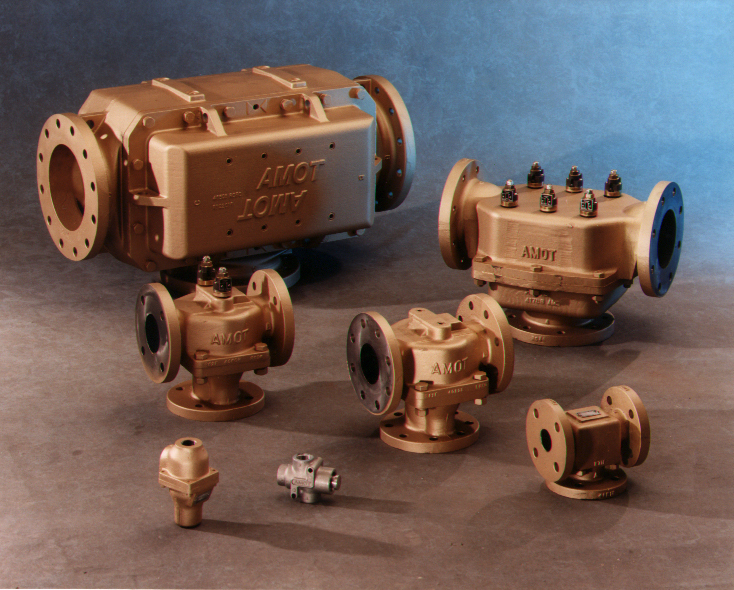 In 1948, AMOT invented the industrial thermostatic valve and has been a pioneering manufacturer of quality components for rotating machinery ever since. Through the years, the experience and expertise of AMOT has been directed towards devising highly specialized control solutions across a wide variety of applications. These applications include oil and gas, rail, marine, power generation and many other markets with tailored design solutions for the control and monitoring of process packages, engines, compressors and pumps. Nearly all the Emergency Diesel Generators at U.S. nuclear power plants use AMOT valves and sensors to provide the specialized control solutions for these critical systems. In 2009, AMOT and Curtiss-Wright Nuclear entered into an exclusive partnership to provide ASME Code Section III components to both existing and newly constructed U.S. and Canadian nuclear power plants. Curtiss-Wright Nuclear is also an authorized distributor for safety-related and commercial AMOT products. All Safety-Related and ASME Code AMOT products will be manufactured under Curtiss-Wright Nuclear’s 10CFR50 Appendix B Program and ASME N and NPT Stamps.